If you’ve tried to find the right website development company, then like most others in your situation, you have quickly found the thousands of options overwhelming. Yet a website is still the most vital presentation of your business. The truly cost-effective website development company is not the one that offers to build you a site for the lowest price. It’s the one that will not only build you a stylish, responsive site at a competitive price but will partner with you and empower you or your staff to maintain and enhance the site so that it drives sales for your company. Otherwise, if you like, we’ll take care of the maintenance and updating for a reasonable monthly rate. We can do everything for your site, from writing the first batch of code, by way of content crafting and visual design, to final deployment and maintenance. With our end-to-end website services, be ready to see a serious surge in sales for your products or services. We start with an exploratory session in which we work with you to figure out the right site structure and look. If you have your own content ready, we guarantee a fully published basic website in WordPress immediately following this session. If you need additional content, we’ll have one of our writers work with you to create it. We will also help you choose the right website design for your line of business. Our service for web development is much more than just writing a few lines of simple HTML or PHP code. 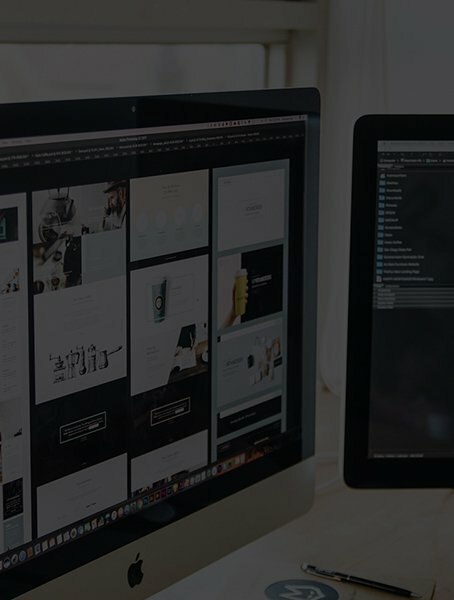 The combination of functional, elegant information and graphic design with the best web development practices will make your website look as well as feel great. With your new site built, we do a completion session. This will include enhancing the site and updating your content (tags and SEO included) in the ways we have decided on together. We don’t call it “finalizing” the site, because a website today, to gain or retain good search rankings, must continually evolve. We can help you with the continual development needed by a website to maintain high search rankings. We’ll also show you how to use landing pages, and more. We also include a testing phase so that you can launch your website with peace of mind. This testing phase will ensure that your website can easily handle large amounts of traffic. Finally, we do a knowledge transfer and training session to ensure that you or your designated employee can handle ongoing content management — or, as we said, we can handle those tasks for you with one of our maintenance and support plans. So the next time you’re looking for quality, end-to-end website design, whether you’re located n Dallas, elsewhere in Texas, or anywhere in the USA, you know who to contact. Get in touch!